Second in the serpentine commission. 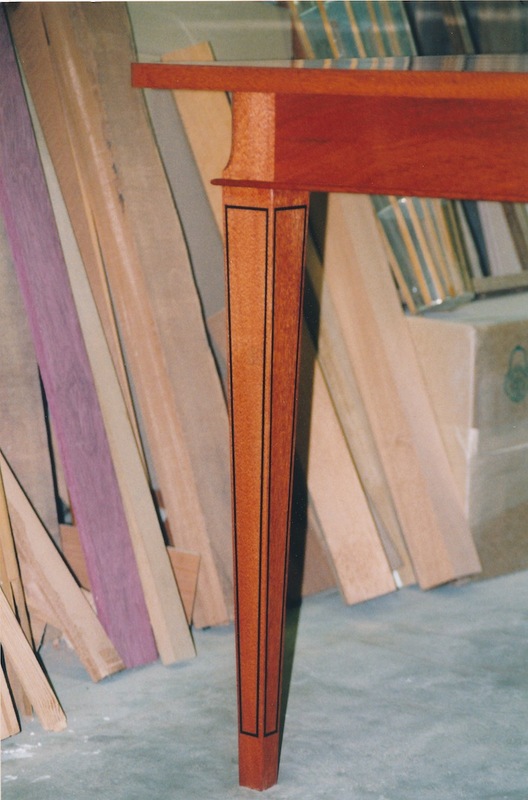 Also built out of matching pattern grade Honduras mahogany. 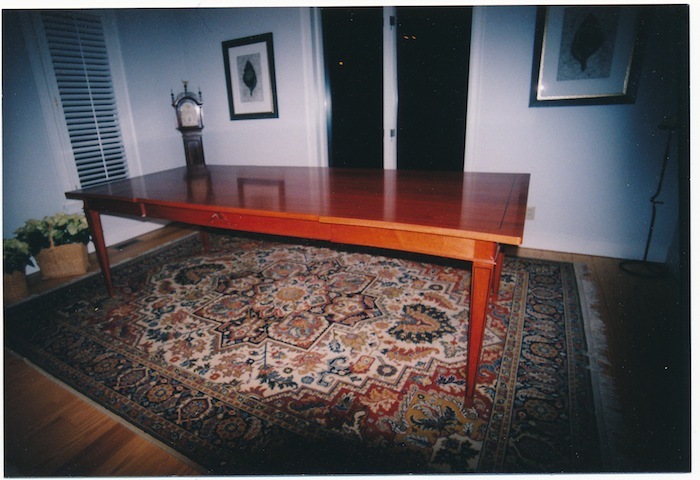 Table top and apron matches the sideboard serpentine shape. Legs match sideboard with the ebony inlays on all leg surfaces. Table top surface has a full inlayed ebony border. Sides have carved shell and floral carvings. Finish is stained wood with marine varnish.